Mass transit in Vienna will become more efficient once upgrades are performed by Knorr-Bremse on drive units in the vehicles. 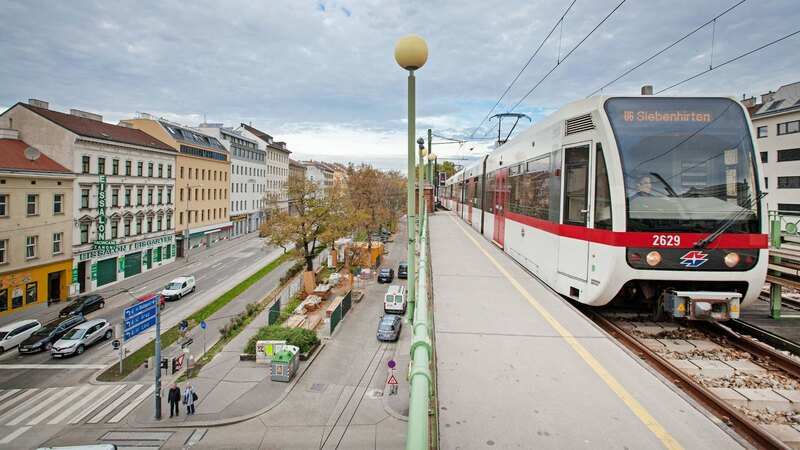 Mass transit operator Wiener Linien has commissioned Kiepe Electric and IFE to refurbish 78 Stadtbahn cars for mass transit in Vienna. The measures will bring the cars into line with current technology and ensure that they continue to provide safe, reliable, customer-oriented service for many years to come. The refurbishment covers replacement of the drive units of the low-floor, articulated motor cars. This involves installing a modern air-cooled converter and the innovative Kiepe Electric on-board power converter from the new 600 generation, which is lighter and more compact, and equipped with advanced control technology. Also up for replacement are the vehicle control system and the tachograph. Refurbishment of the first four cars has just been completed and the remaining 74 cars are to follow by the end of 2019. The converter’s job is to supply the vehicle with the necessary electric power. As the number of different on-board consumers increases driven by demand for greater comfort and safety, the market for converters offers substantial potential for global growth. At the same time, sister company IFE has been commissioned to equip the 468 doors with new electric door drives. IFE service staff are handling the door conversion measures and recommissioning on site at the customer’s depot. It takes four employees around two and a half days to bring each car to turnkey readiness for customer handover, complete with approval by technical inspectorate TÜV. Currently, almost half the doors have already been refurbished and the entire door upgrade is due for completion by the end of 2017. Today more than 600,000 IFE entrance systems are in daily use worldwide, opening and closing up to 50 million times a day. Quality, safety and reliability are assigned top priority, because even a single door that fails to operate correctly can cause substantial delays. The entrance systems in trams, light rail vehicles, metro cars, regional commuter trains and highspeed trains are designed to make boarding and alighting as easy as possible for passengers and at the same time to ensure safe and reliable operation.